Doe-doei! 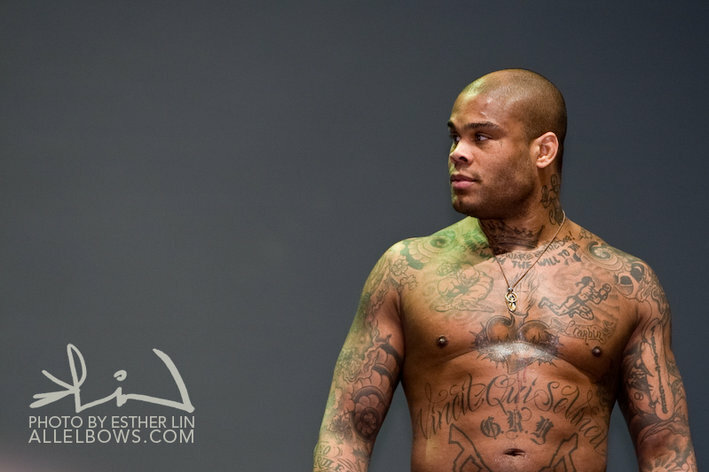 Dutch-born mixed martial arts (MMA) fighter Gilbert Yvel has announced that his combat sports career is over after more than 16 years of head-scratching competition. Mixed martial arts (MMA) veteran, Gilbert Yvel, is calling it a mixed martial arts (MMA) career after more than 16 years of professional competition. “The Hurricane” made the announcement in an interview with GnP.tv earlier this weekend. Yvel seemingly went out on top, winning his two most recent Heavyweight fights under the Resurrection Fighting Alliance (RFA) banner, stopping Damian Dantibo with punches in Dec. 2011 and then doing the same to Ultimate Fighting Championship (UFC) washout Houston Alexander in March 2012. Most modern fight fans more than likely remember the Dutch fighter getting creamed by Junior dos Santos in little more than two minutes at UFC 108 in Jan. 2010. Yvel, 37, would go on to lose back-to-back fights against Ben Rothwell and John Madsen, forcing his quick exit from the world’s leading MMA promotion. Meanwhile, most long-term fight fans likely remember Yvel biting an opponent, rake-facing Don Frye (for real) and knocking out a referee, among other unsportsmanlike transgressions. Regardless of how Yvel is remembered, he was a journeyman of the sport who plied his trade in just about every major organization to date, including Rings, Pride FC, Affliction MMA and, of course, UFC. His most notable win more than likely came against Semmy Schilt earlier in his career, as well as an over-the-hill Pedro Rizzo and green Cheick Kongo. The 6’2″ Yvel finishes his MMA career with 38 wins, 16 losses, one “No Contest” and a draw (38-16-1-1). The French heavyweight put out a statement on his Facebook page stating that he’s on good terms with the organization and could still re-sign with them. “Do not believe everything you are told. “I’m in the best position to know about my career in the UFC. And do not worry. For now, know that I have not dismissed the UFC and I’m on good terms with the American organization. I’m out of contract, as I’ve been before. … So I say to you, unless proved otherwise, I’m still a UFC fighter. Take care of yourself. 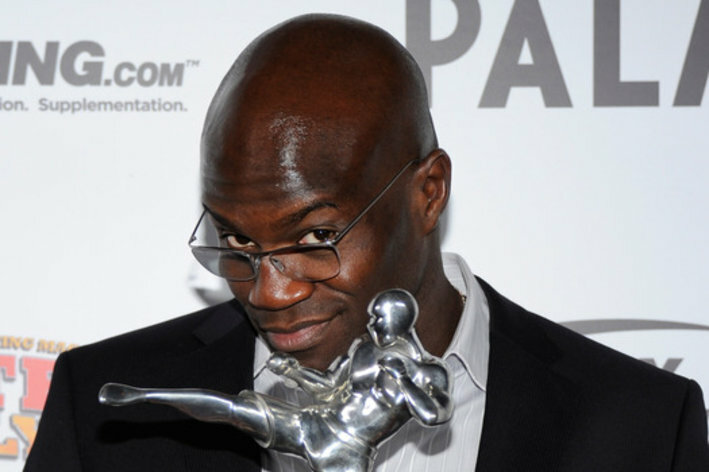 Kongo (18-8-2) had spent most of his MMA career in the UFC, going 11-6-1 in 18 contests. He had lost two out of his last three though, getting knocked out by Nelson and Mark Hunt. His last reported pay was three fights ago at UFC 137, where he made 70k to show and 70k to win. If he does choose to re-sign with the UFC, you’d have to figure it would be for less than that. There could be other suitors for him, but the heavyweight class isn’t very deep outside the UFC. “Big Country” is down to fight Daniel Cormier, provided he earns the same Light Heavyweight championship opportunity with a win. While Daniel Cormier thinks a bout against Roy Nelson would be a “damn good fight,” “Big Country” doesn’t seem too keen on fighting the former Strikeforce Heavyweight Grand Prix winner. Unless, of course, it is a meaningful mixed martial arts (MMA) match. Indeed, Nelson is coming off a first round knockout victory over Cheick Kongo at UFC 159 last weekend (April 27, 2013), giving him his third consecutive Heavyweight victory inside the Octagon. Cormier, meanwhile, made a successful transition from Strikeforce to Ultimate Fighting Championship (UFC), besting Frank Mir at UFC on Fox 7 one week earlier. On the surface, it would appear to be a an ideal match up; however, Cormier is still undecided about his future in the division because his good friend and long-time training partner, Cain Velasquez, is the reigning division champion. And he has hinted that a drop to 205 pounds would be possible if “Brown Pride” retains his title against Antonio Silva in their rematch at UFC 160 later this month. That’s the primary reason Nelson’s manager, Mike Kogan, recently revealed that a showdown with Cormier “doesn’t make sense,” a sentiment that The Ultimate Fighter (TUF) 10 winner Nelson echoed to Bloody Elbow. Nelson revealed that he would be more interested in a fight against former UFC heavyweight champion Antonio Rodrigo Nogueira next rather than Cormier. Unless, of course, a scrap with Cormier earner him the No. 1 Light Heavyweight contender spot. It’s unclear if the portly Nelson — who not too long ago teased a drop to 205 pounds if he could get 100,000 “Likes” on Facebook.com (he did) — was actually being serious. But, it would make sense from his perspective, considering Cormier has already locked up an immediate title shot should he make the cut. For what it’s worth, Nogueria is currently booked to tango against Fabricio Werdum at UFC on FUEL TV 10 on June 8, 2013. And should he prove victorious against “Vai Cavalo,” a fight between “Big Country” and “Big Nog” would seemingly make sense. Unless, of course, UFC President and Dana White — along with Cormier — call Nelson’s latest Light Heavyweight bluff. Another fighter appears to have been removed from the UFC’s rosters. 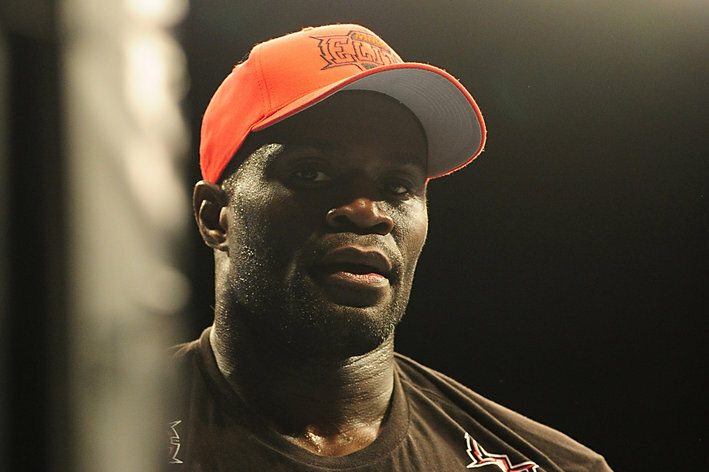 Cheick Kongo no longer appears among the active fighters on UFC.com. Cheick Kongo’s profile was removed from UFC.com today, meaning that his days with the promotion are most likely at an end. It’s a little surprising considering his long history at or near the top of the heavyweight division and shows that the UFC is devoted to removing fighters that they consider to be dead weight. Kongo would leave behind an 11–6–1 record with the promotion, gathered over a seven year span. Despite his long winning record he never managed to fight for a title, often falling just short of contention against fighters like Cain Velasquez and Frank Mir. He’d lost two of his last three fights by KO against Mark Hunt and Roy Nelson, with a decision victory over Shawn Jordan sandwiched in-between. However, before the Hunt loss he was on a four fight unbeaten streak, including a highlight, comeback KO victory over Pat Barry. It’s hard to see him continuing his career outside of the octagon. At 37 and with a long MMA and kickboxing career already behind him, one would imagine that other opportunities outside of fighting may present themselves. 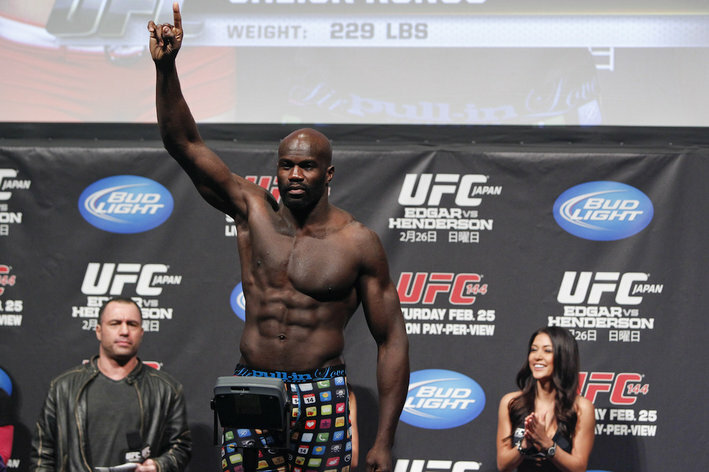 However, much like Fitch before him, Kongo is not on a substantial losing streak. And while he may be older, in a paper-thin division like heavyweight, other promotions are sure to come knocking for a big fighter with name recognition. Hopefully he lands on his feet, wherever they may take him. He’s never been a huge draw, but he’s put enough time and years into this sport, and had enough success, to deserve what few rewards it has to offer. Whether they be a few big purses fighting over-matched opponents in WSOF, or a chance to open his own gym and train new fighters, or even doing some managing and promoting I will be interested to see where he goes from here. We will update with confirmations when, or if, they occur. on May 1, 2013, at 4:15 p.m. ET with confirmation from a UFC official that Kongo fulfilled the terms of his contract and is unlikely to be re-signed. Shortly after Nelson KOd Kongo at UFC 159, UFC newcomer Daniel Cormier called him out. However, it doesn’t look like Nelson’s management is keen on the idea. In arguably the biggest win of his UFC career, Heavyweight Roy Nelson capped off a three-fight win streak with a first round knockout of Cheick Kongo at UFC 159. Nelson has now finished 5 of his UFC wins inside round one. 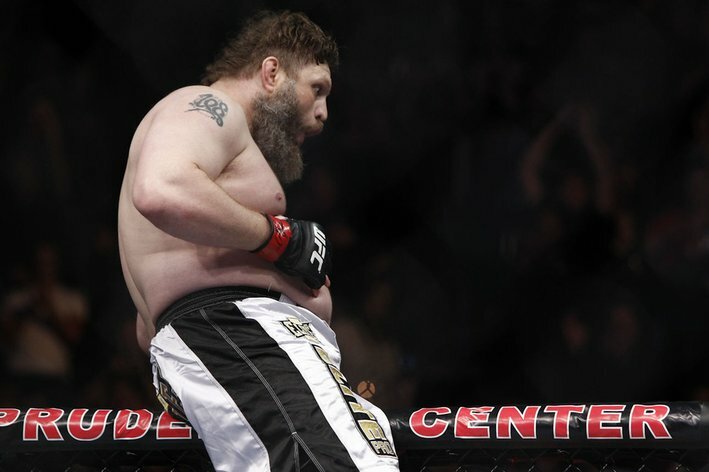 Following the win there was a lot of speculation of who would be next up to face “Big Country” in the Octagon. Foremost on the list was Strikeforce HWGP champion Daniel Cormier. 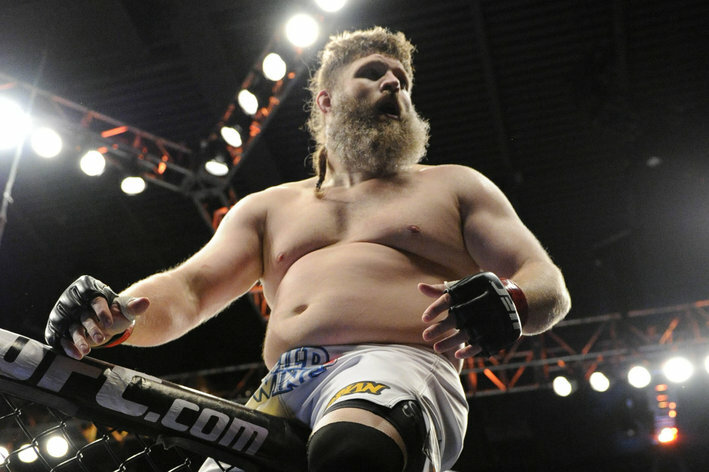 Helwani reports @RoyNelsonMMA’s manager doesn’t want him to fight @dc_mma. He says that he doesn’t see what Roy will gain from that fight. Instead, Kogan says they’d prefer a fight against Antonio Silva if he loses to Cain Velasquez UFC 160. If not that fight, they’d like Junior Dos Santos or Mark Hunt regardless of the outcome their fight on the same event.